Saturday, September 24th, 2016, 2:00-4:00 p.m.
Mitchel P. Roth joins us on Saturday with his latest book, a history of the Texas Prison Rodeo. 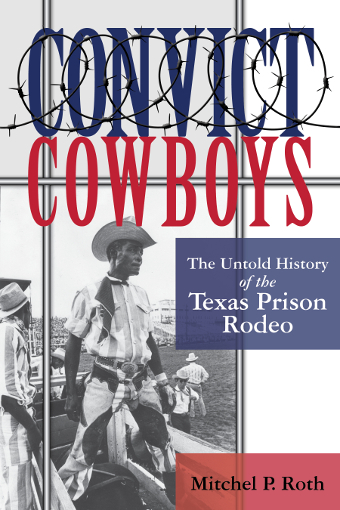 Convict Cowboys is the first book on the nation’s original prison rodeo, which ran from 1931 to 1986. At its apogee the Texas Prison Rodeo drew 30,000 spectators on October Sundays. 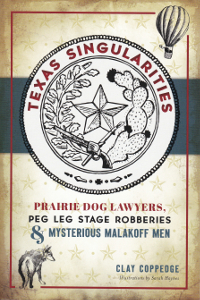 Mitchel P. Roth portrays the Texas Prison Rodeo against a backdrop of Texas history, covering the history of rodeo, the prison system, and convict leasing, as well as important figures in Texas penology. Over the years the rodeo arena not only boasted death-defying entertainment that would make professional cowboys think twice, but featured a virtual Who’s Who of American popular culture. 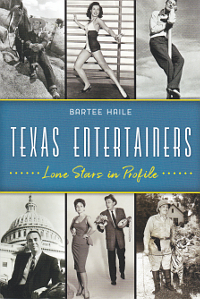 Readers will be treated to stories about numerous American and Texas folk heroes, including Western film stars ranging from Tom Mix to John Wayne, and music legends such as Johnny Cash and Willie Nelson. Through extensive archival research Roth introduces readers to the convict cowboys in both the rodeo arena and behind prison walls, giving voice to a legion of previously forgotten inmate cowboys who risked life and limb for a few dollars and the applause of free-world crowds.